The Laguna Beach real estate luxury portfolio is a diverse and substantial one. Laguna Beach is home to a large amount of the higher price real estate in Orange County due to the city's prime location along the Pacific coast and well known character. 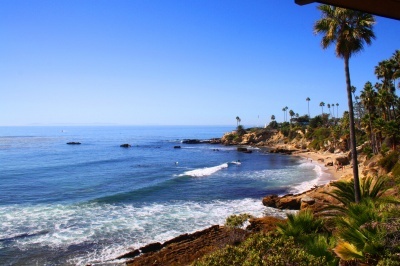 Laguna Beach luxury homes often have big ocean views or are a short walk to some of Laguna Beaches Best Beaches. Many homes and estates have been featured on TV shows, and are one of kind homes, with many designer touches, custom finishes and top of the line architecture. Some famous neighborhoods for these homes are Emerald Bay, Irvine Cove, Three Arch Bay and Lagunita. View all Laguna Beach Luxury homes for sale listed in the MLS below, or click to read more about Laguna Beach Luxury Real Estate. You can also search for Laguna Beach Homes by map. We are licensed Realtors ® in Laguna Beach and can help you with your Laguna Beach luxury real estate transaction.